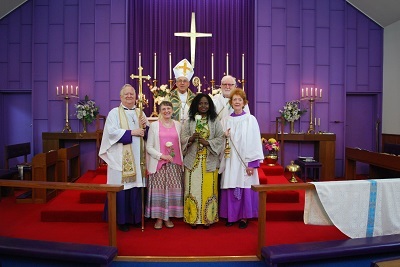 On Sunday 12th February the parish received a visit from Bishop Richard Taylor. During the celebration of the Holy Eucharist, he admitted two of the parishioners to the Order of Our Lady – Christine Blakely and Nicole Zabantu. They are the first admissions to the Order in our parish.